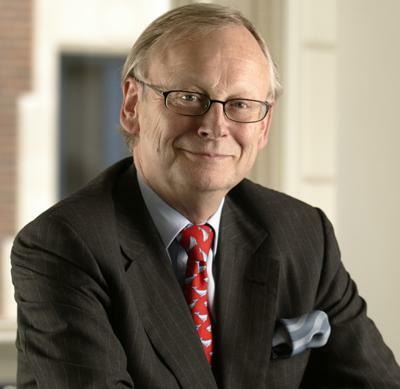 The Atmos Totnes campaign, which is working to bring the former Dairy Crest site in Totnes into community ownership, recently found vocal support in Lord Deben, also known as former Secretary of State for Agriculture John Gummer. Atmos Totnes is seeking to bring the site into community ownership and develop it as “the heart of a new economy”, a mixed development, owned and managed by, and for the benefit of, the community. Its patrons are writer and broadcaster Jonathan Dimbleby and local MP Dr. Sarah Wollaston, and a recent very well-attended public meeting gave the initiative a huge endorsement. “First of all it seems to have been approached with a sensible economic eye. Sometimes people believe that if they’re doing the right thing, they don’t have to think about the realities of the pounds, shillings and pence, and we’re in a world in which so many things have failed, even when they’ve got off the ground, because people haven’t got the economics right. It seems to me that the Atmos project really has thought that through in a serious way. The second thing I like about it is the imagination. I think all sorts of ideas have been put together here which really are exciting, which each, individually, may not be remarkable, but together, as a group, really do offer something very special to the locality”. “Dairy Crest is a good company, and it is a company which understands the importance of what it does to the communities it serves and therefore this is an area where I think it ought to think very carefully and see how it can best progress what is, after all, the one opportunity which is there for this site. It’d be different if it were competing between a whole lot of different ideas. It hasn’t got any others, so I’d suggest that it really does its best to make this one work”. “Never give up. Go on, because you’ll win in the end. The only people who lose are those who give up before the final push, and therefore my real message is keep on with it”. Why does a project like Atmos matter? I think we have two innovative ways of solving the very unusual problems that we have, and there is no problem more complex than the re-use of former works in areas where the purpose has changed very greatly. All the traditional mechanisms don’t work very well in those circumstances, so my view is that this is an imaginative and unusual process, but one which has got a very sensible economic basis to it, so it ticks all the boxes. What new tools does the localism agenda offer to a project such as Atmos Totnes? First of all, the localism agenda means that proposals like this one are no longer seen as slightly off the wall, because as we’re all trying to find ways in which the locality can be considerably involved, then a local proposal like this is seen for what it is, a very sensible way forward. That wasn’t true 5 years ago. Second thing is that the community will, under the legislative changes, have a real chance to get support of local authorities, of all sorts of governmental and non-governmental institutions, and what’s more, people who haven’t thought about this before in terms of all sorts of businesses and the like will say to themselves “well this clearly is the way things are going, and so of course we can support it”. So they don’t look as if they’re supporting some way-out, unusual concept which is untried. What excites you about the Atmos proposals? I’m very keen first of all that it seems to have been approached with a sensible economic eye. Sometimes people believe that if they’re doing the right thing, they don’t have to think about the realities of the pounds, shillings and pence, and we’re in a world in which so many things have failed, even when they’ve got off the ground, because people haven’t got the economics right. It seems to me that the Atmos project really has thought that through in a serious way and therefore has a right to ask for support outside it. The second thing I like about it is the imagination. I think all sorts of ideas have been put together here which really are exciting, which each, individually, may not be remarkable, but together, as a group, really do offer something very special to the locality, and I’m pleased to hear the locality is increasingly welcoming that. What would be your message to Dairy Crest? Dairy Crest is a good company, and it is a company which understands the importance of what it does to the communities it serves and therefore this is an area where I think it ought to think very carefully and see how it can best progress what is, after all, the one opportunity which is there for it. It’d be different if it were competing between a whole lot of different ideas. It hasn’t got any others, so I’d suggest that it really does its best to make this one work. Do you have a message for all the people working to make Atmos Totnes a reality? Never give up. Go on, because you’ll win in the end. The only people who lose are those who give up before the final push, and therefore my real message is keep on with it.